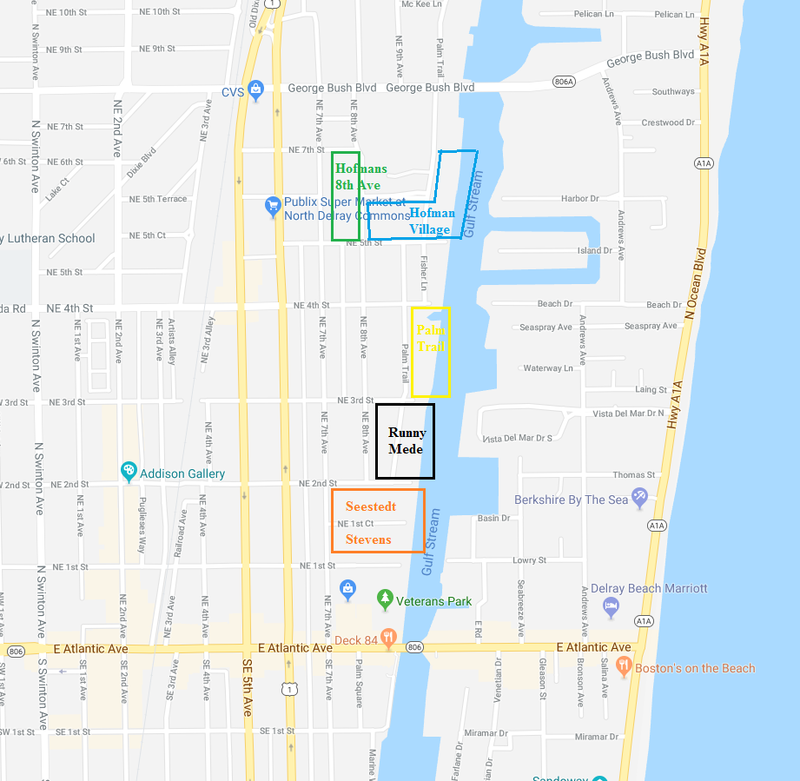 Located in Delray Beach, Runnymede - Palm Trail - Hofmans 8th Ave - Hofman Village - Seestedt Stevens homes are located between Atlantic Avenue and George Bush Blvd and just West of the intracoastal. Walk to Historic downtown Delray Beach or bike to the beach. Runnymede has about 16 homes. Palm Trail has about 19 homes. Hofmans 8th Ave has about 7 homes. Hofman Village has about 16 homes. Seestedt Stevens has about 28 homes. These luxury homes await buyers! Some luxury homes are directly facing the intracoastal while others are dry lots. Register to Receive Listing Information Directly Runnymede homes for sale ! The sale or acquisition of real estate is a process, not an event. Let us support you with our knowledge and experience. For more information on Runnymede homes for sale or to schedule a private showing, call your Delray Beach real estate specialists – Boca Raton Premier Properties at 561-406-8880. If you're ready to take the next steps in finding a property for sale in Runnymede homes or any other part of Delray Beach, be sure to reach out and contact Jean-Luc Andriot today. He’d be happy to help answer questions and let you know more about what’s going on the market. Call him today at 561-406-8880!